A good cookbook is a person's best friend in the kitchen. When you get married, people love to give you all kinds of cookbooks. Seriously, you get WAYYYY too many. I guess they just want you to be a good cook for your future family. Anywho, after going through all of the books and finding my favorite ones, I've compiled a list of the best ones I have in my collection. 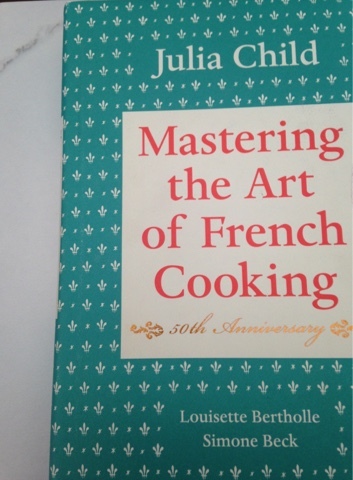 Mastering the Art of French Cooking // Julia Child is a genius in the kitchen and her recipes are truly too die for. 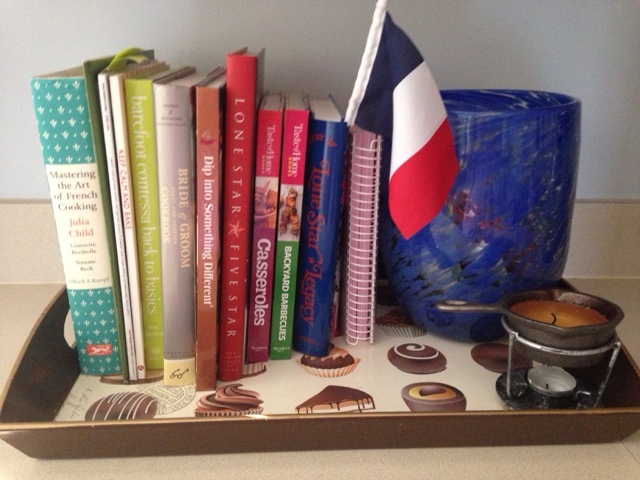 I am so in love with French food, so I really like re-creating it here at home. Now, I've yet to master (or even do that good of a job) with her recipes, because they're pretty difficult if you're a new chef! My advice, keep on trying. That soufflé will rise at some point right?? Southern Living Cookbooks // Southern Living has a really wonderful magazine, but they also have great cookbooks. Some of my favorite recipes ever came from these books. My mom loves them as well and adopted many of them into our family dinners. The Christmas one is easily the most delicious. 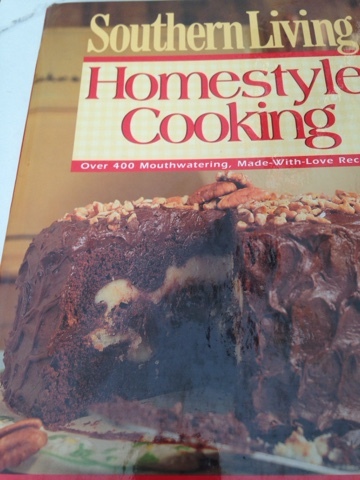 You can find past cookbooks at a lot of flea markets as well! Food Network Magazine // This isn't the typical hard cover cookbook, but this magazine has absolutely fabulous recipes. They change the theme every month and constantly create new things to try. Who doesn't love the Food Network?? Word of warning, most come out very good, some not so much. It's just the way it goes with recipes! My Mother's Cookbook // My mom is a fantastic cook. I literally adore her cooking and aspire to be like her in the kitchen. One year for Mother's Day, I have her a cookbook to impart her wisdom and recipes to me. Ok so the gift ended up being more for me, but she worked on it and made me a list of all the recipes I truly love. This cookbook will be one I will add to and cook with, then one day pass it down to my daughter. I hope you can find these helpful and possibly bring them into your kitchen. I know the recipes require practice, but when they're right, they're perfect! What are y'alls favorite cookbooks? I love a good cookbook! Great picks. I've never tried any of these cookbooks before since I have zero faith in myself in the kitchen...but I hope someday I learn how to be a better cook and it will probably be with the help of a good cookbook. Julia Childs is such a classic, i should probably take a look at her recipes at some point. 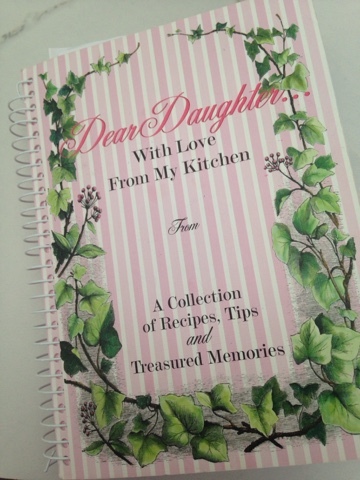 I think your mom's cookbook is the cutest thing, though - sometimes you just need a taste of home! 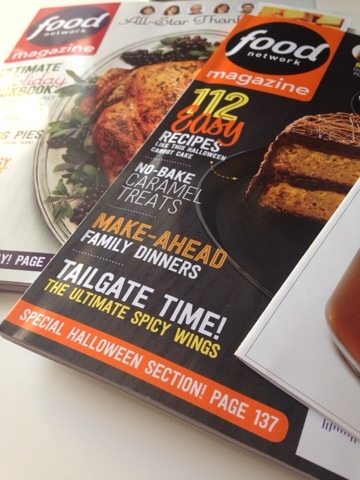 Southern Living and The Food Network recipes and cookbooks are always my favorites! So sweet that you are able to use recipes of your moms! My mom wasn't much of a cook, but I hope to pass on my favorite recipes down to my children! I'm so jealous of your collection! I wish I had more cookbooks! My favorite cookbook I own is the Unofficial Harry Potter Cookbook. I still haven't made anything from it though. I rarely refer to cookbooks these days with pinterest around but I definitely need to check into that Southern Living cookbook! I absolutely love the cookbook from your mom! That is such a sweet sweet keepsake for you and your future children. 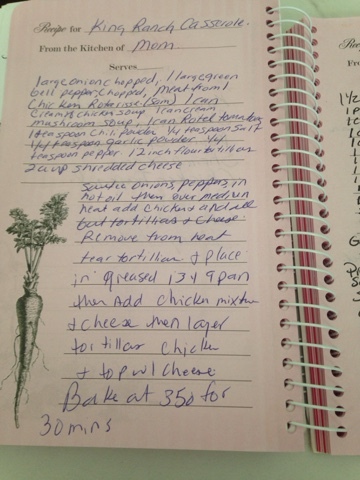 When I visited my grandmother recently, I had her write down some of her best recipes on recipe cards that I bought so I'd forever have them in her handwriting. So special! I have a few cookbooks, but I think my favorite is Chicken and Egg! I might be stealing the idea of that cookbook from your mom, what a special item to pass down through the family!! Also check out Martha Stewart's magazine for new recipes - they're always putting out great ones and they come on neat little cards you can tear out. I honestly rarely use cookbooks but I love the idea of them. I am so lazy and boring when it comes to cooking, if it isn't from Blue Apron I usually just eat salad or something from the Whole Foods hot bar...I'm working on improving my cooking as well as my cooking motivation. I just got both volumes of Julia Child's cookbook. I got it so I can try making boeuf bourguignon (inspired from the movie). How is the lonestar cookbook? It's a fantastic cookbook and really easy to follow. I love a lot of the recipes! My mom and I were just talking today because I have no idea how to cook... how embarrassing is that?!?! 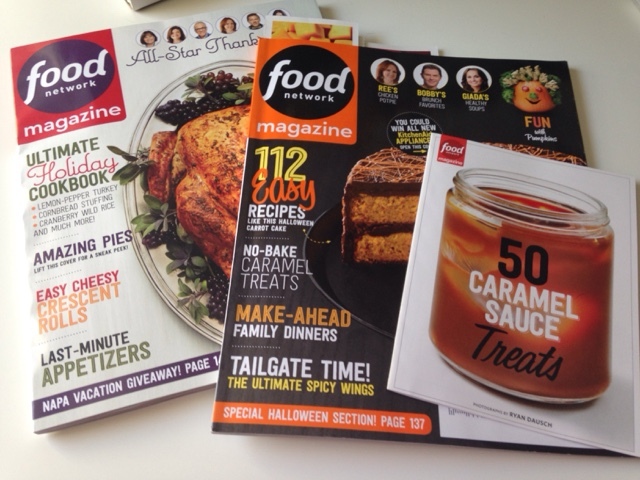 Love Food Network magazine! Great recipes!